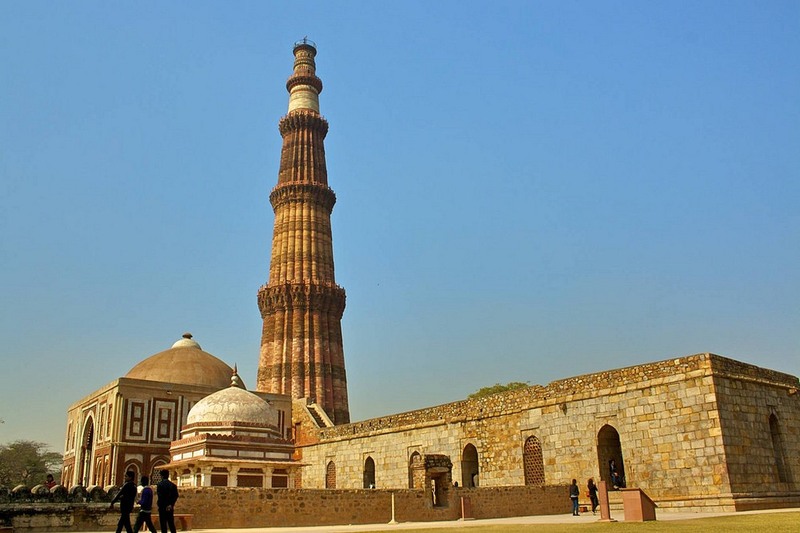 The Qutub Minar in New Delhi is a well known landmark. The sandstone-colored minaret with intricately carved inscription and reliefs on its façade was erected in the late 12th century by Qutubuddin Aibak, the slave general of Muhammad Ghori, to celebrate Ghori’s victory against the Rajput rulers of Delhi. 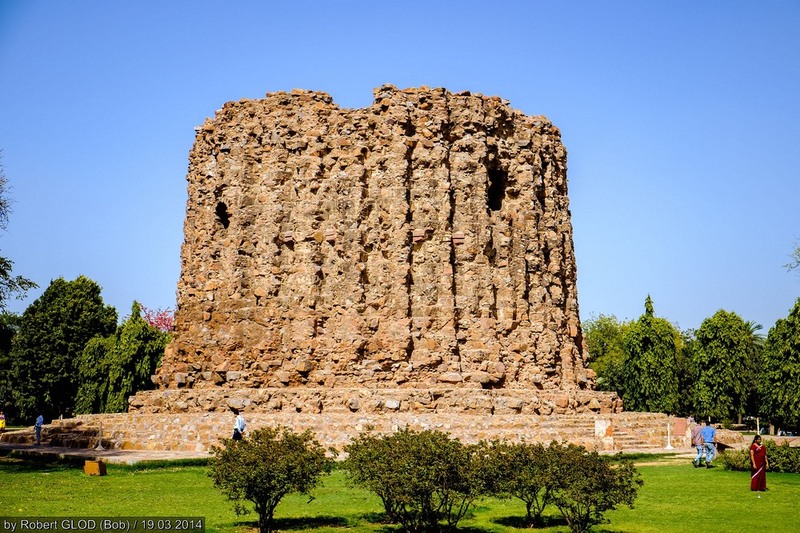 It’s believed that Aibak was inspired by his contemporary, the great Ghurid Sultan Ghiyas-od-din, who built a similar victory tower, the Minaret of Jam, in remote Afghanistan just a few years prior. For the next eight centuries, the Qutub Minar would be the principal attraction in a region that is choke full of monuments and ruins from hundreds of years of Sultanate rule. 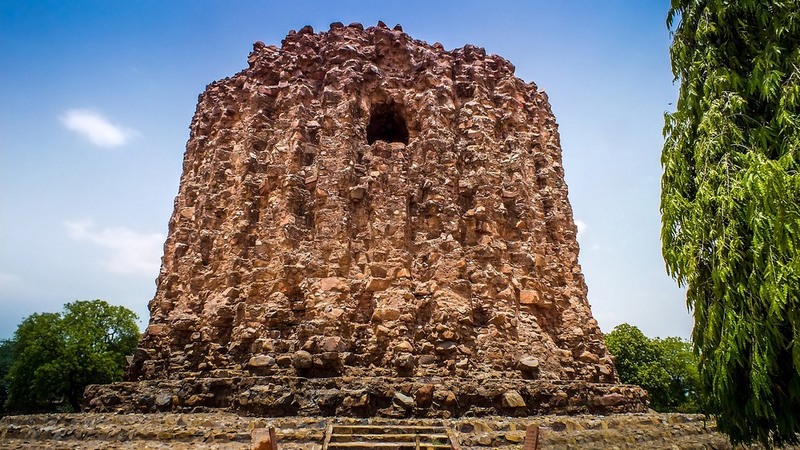 Just over a hundred years after the first bricks of Qutub Minar were laid, a very ambitious and ruthless ruler named Alauddin Khilji sieged the throne of Delhi, by disposing off his predecessor—his uncle and father-in-law, Jalaluddin. A great soldier and general, Alauddin quickly subdued the kings of neighboring kingdoms and extended the reach of the Khilji dynasty from Afghanistan in the north to the Deccan peninsula in the south. Khilji liked to attack Hindu kingdoms because Hindu Rajas were tremendously wealthy. The war loot kept his military ambitions afloat and the Sultan's treasury strong. Many historians describe Alauddin as barbaric because of the cruelty with which he attacked and seized kingdoms. After the capture of Chittor in 1303, Alauddin ordered the massacre of 30,000 local Hindus. In 1298, between 15,000 and 30,000 people near Delhi, who had recently converted to Islam, were slaughtered in a single day, due to fears of an uprising. Alauddin killed anybody he suspected of being a threat to this power. When he suspected two of his nephews of rising in rebellion, he first had their eyes gouged out and then had them beheaded. After one particularly huge win in the Deccan, Alauddin decided to build a huge tower similar to the Qutub Minar, to commemorate his victory—only his will be bigger and taller. He wanted a structure double the height of Qutub Minar so that he would be remembered as the only Sultan who dared to create such a monumental masterpiece that was grander and more spectacular than the one built by Qutubuddin Aibak. Construction of the Alai Minar was completed till the first story, when Alauddin Khilji was murdered by his trusted slave-general and lover Malik Kafur in 1316. Kafur’s regency lasted for only a month, when he himself was assassinated by Alauddin's former bodyguards. 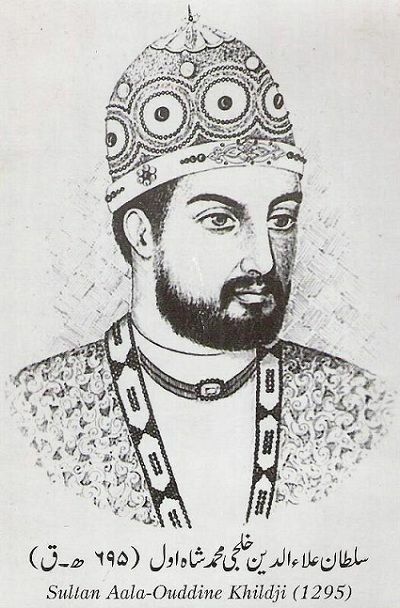 Alauddin's elder son, Mubarak Shah, succeeded him as the new Sultan but not after he had blinded his younger brother to prevent him from accessing his throne. Considering these lovely family dynamics, it’s no wonder, Alauddin’s son was somewhat less eager to fulfill his father’s wishes to build the tower. The unfinished Alai Minar standing 80 feet tall can still be seen today just north of Qutub Minar.